poorly regulated (it does not have the same oversight by the FDA as Rx drugs do), it allows any Joe Blow to start a supplement company and put anything on the label. Who do you think is ensuring what is in that bottle? Nobody! For more info about this, please read my article on "Why all supplements are not created equally". Even if you buy a quality Nutriceutical brand supplement, you are not guaranteed to absorb all the nutrients effectively. Even if the pill dissolves in luke warm water, you are not necessarily going to absorb all of it. Why? Because all vitamins and minerals must be digested and absorbed via the digestive tract. If you are deficient in any of the enzymes, cofactors, or transport molecules, you will not do this effectively (such as low stomach acid for B vitamins). This combination of vitamins/minerals (Vitamin C, Magnesium, Calcium, B Vitamins, B12, and more...) has been around for decades, and it packs a punch. We often add an extra component of Glutathione to this treatment for even more effectiveness. This is great for chronic fatigue, immune boosting, and mental clarity. Useful for respiratory condiitons and boosting the immune system. 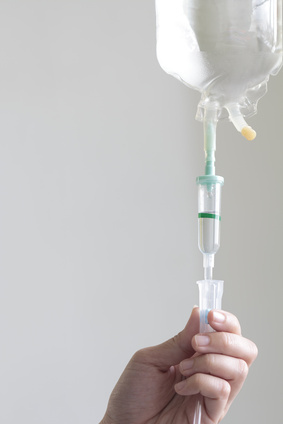 Our IV's are only offered when our nurse is on duty, which is typically Mon and Thurs afternoons. Please call our front desk at (208) 629-5374 to schedule an appointment, or to ask Dr. Noah any questions about these exciting therapies.